Changing landing gear coatings from Cd to Zn-Ni,… and what about the tooling? Home › News and events › Changing landing gear coatings from Cd to Zn-Ni,… and what about the tooling? The aerospace sector seeks alternatives to Cd and Cr(VI) compounds while, at the same time, the surfaces to-be-plated are becoming increasingly complex. The result is that plating to specs is more challenging than ever before. What you may not know yet, is that these challenges can be met by relying on a Computer Aided Engineering (computer modelling) approach. Elsyca’s in-house developed simulation technology for electroplating processes takes into account your entire plating line infrastructure and enables you to optimize your plating process in just a few mouse clicks. 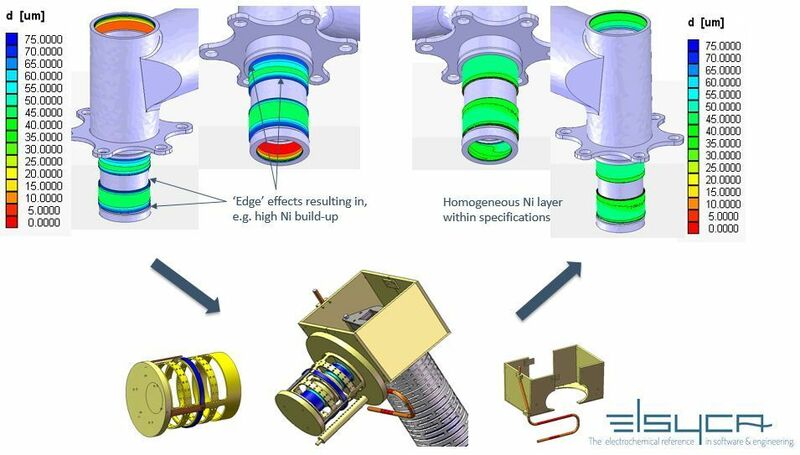 Based on this approach a dedicated tooling system can be designed and verified in a couple of days rather than weeks!